Make it easier to make healthy choices with this flavor-enhancing tip. Most of us know that we need to eat healthy, but let’s face it: most healthy food doesn’t taste that good. And many people struggle with making healthy choices because they just can’t stand the taste. It’s important to know how to make healthy food taste good—and not only for your tastebuds’ sake. You’re much more likely to stick to your diet if you enjoy eating the food, which means that you’ll lose fat and gain muscle faster on a healthy diet that tastes good. Coconut oil is something I have been using with all of my meals to increase the juiciness and flavor of each meal. Many healthy foods are naturally low in fat, and don’t have a lot of flavor. By simply adding one scoop to each healthy meal it drastically improves the taste and moistness of the food, giving full flavor and juiciness to each ingredient. 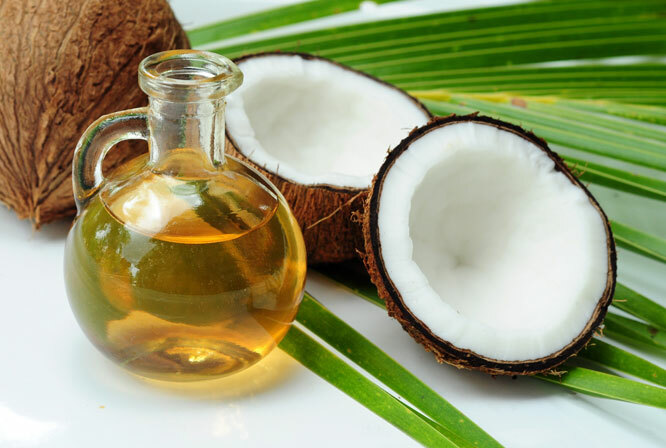 Coconut oil is also an amazing source of natural "healthy fat." I used to think that “fat” was a dirty word. But in fact, there are many healthy fats that can reduce high cholesterol, promote good cholesterol, and be a part of a heart-healthy diet. The secret is to focus on the right fats. Good fats are monounsaturated fats such as olive oil, nuts, avocado and of course coconut oil. Another great benefit to having healthy fat is that fats digest slower than carbohydrates, giving you longer lasting energy. This kind of sustainable energy is exactly what every trainee needs to power through their workouts and avoid the up and down crashes associated with dieting.